Rembrandt dared painting notables, people in power as real persons. So did I with Kate Middleton. With extracts from "Simon Schama's Power of Art" Rembrandt (TV Episode 2006). Rembrandt was and remains my main artistic inspiration. 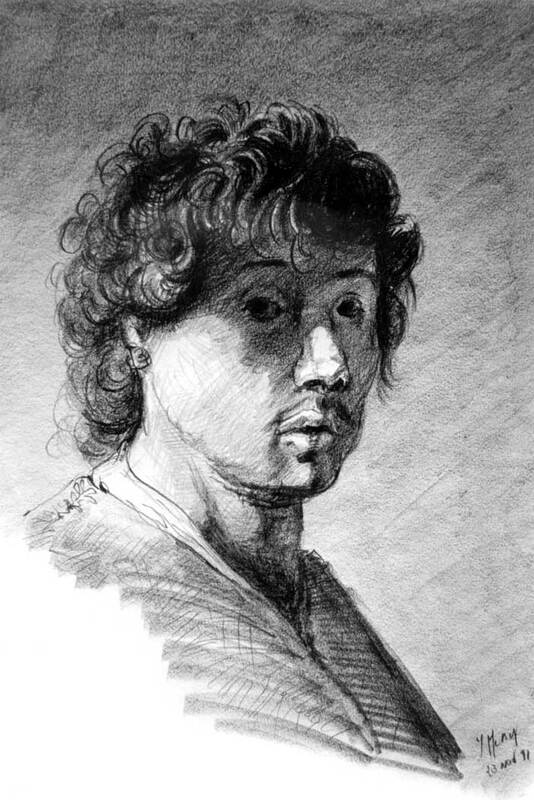 A sketch of Rembrandt I did in 1991.